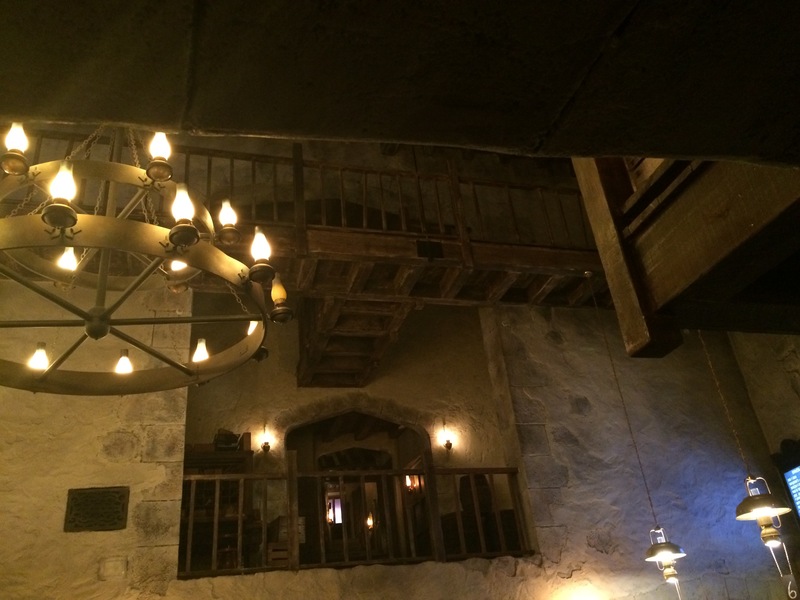 I was fortunate enough to dine at this fabulous quick-service restaurant on a recent FAM (familiarization) trip to Universal Studios and I will proudly recommend it to ANY Harry Potter fan I meet who will be visiting Diagon Alley! The food is truly very good — not your typical theme park fare at all. I enjoyed a wonderful lunch consisting of Cottage Pie, Sticky Toffee Pudding, and Fishy Green Ale to drink. Yes, I said fishy when referring to a drink! Don’t worry, dear reader, I haven’t lost my ever-loving mind…’twas just a cheeky name for bubble tea. The “bubbles” were blueberry flavored and the drink itself was a super sweet cinnamon-mint concoction. It was quite tasty but proved WAY too sweet for my liking. I was only able to drink a tiny bit of it. The Cottage Pie was incredible. Large chunks of veggies and tender beef in a delicious gravy were topped with buttery, flaky pastry. YUM! The Sticky Toffee Pudding was also wonderful but, again, too sweet for my palate. I wasn’t able to finish it, even with a child-size portion of the Cottage Pie. My Cottage Pie (child portion) and Sticky Toffee Pudding both rang in at $6.99, while my Fishy Green Ale was $4.99. I would absolutely skip the Fishy Green Ale on a return trip, and stick with my absolute favorite, Pumpkin Juice ($3.99). 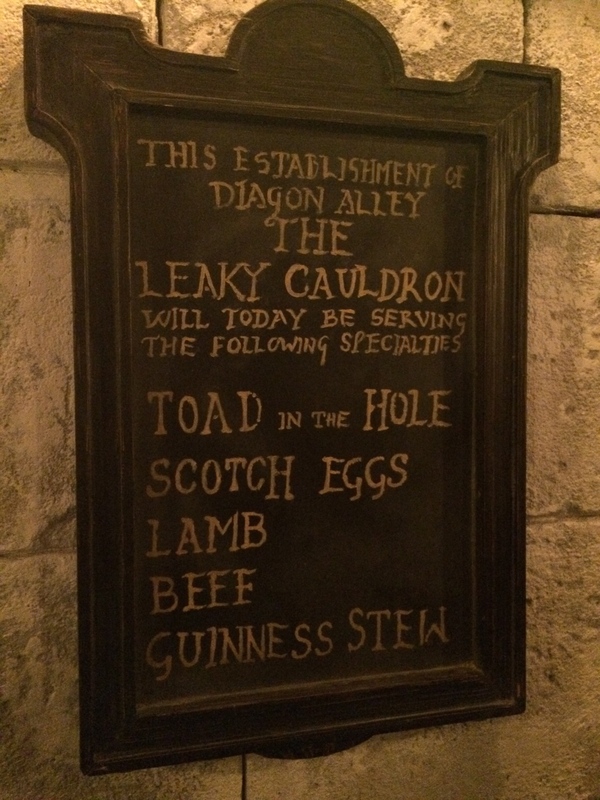 I’ll definitely visit Leaky Cauldron again with my own family. I have 2 sons who would be absolutely delighted with all of the wonderful details in this restaurant. I feel they did an excellent job of staying true to the Wizarding World and skimped on no detail! Side note: If you’re a beer lover, be sure to hop around the corner to The Fountain of Fair Fortune and try a Wizard’s Brew or Dragon Scale. 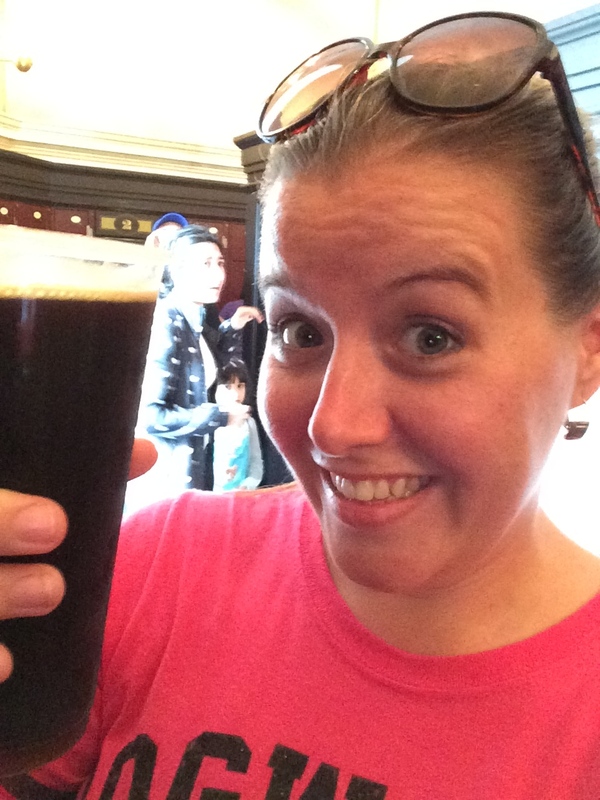 Being a stout fan, I ordered the Wizard’s Brew and cannot wait to return and have another! Have you ever been to Italy? 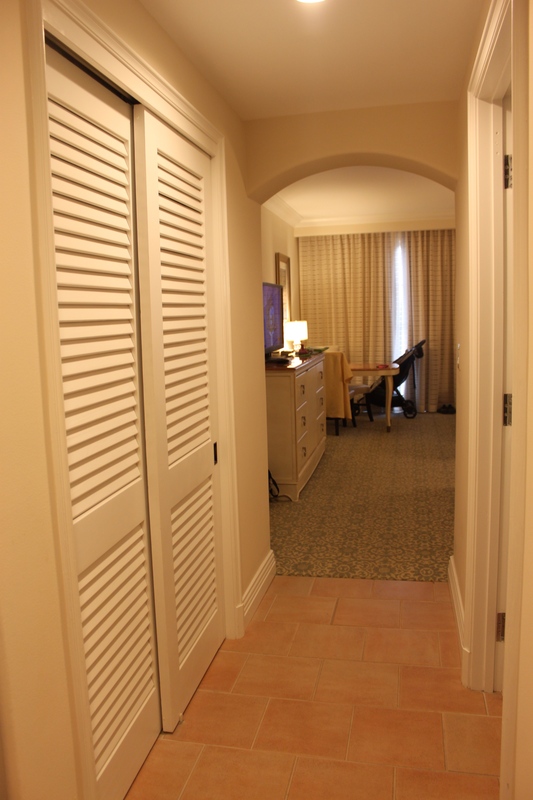 I haven’t, so I might be totally off base in saying this, but it FELT like I was there the whole time I was at Universal’s Portofino Bay Resort. From the beautiful entrance with luxury cars and Vespas parked outside, to the stunning harbor, to the opera singers serenading me from the balcony each night at dusk, I felt fully immersed in la bella vita. 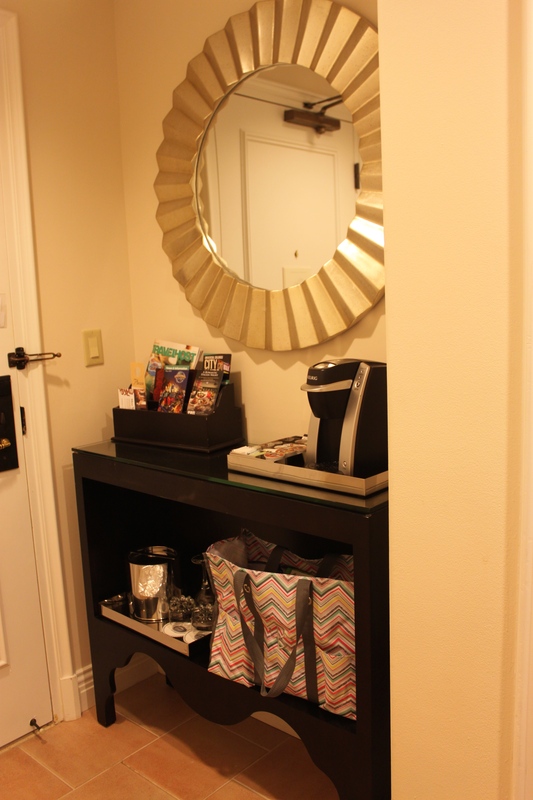 Once inside our room, we were even more pleased! 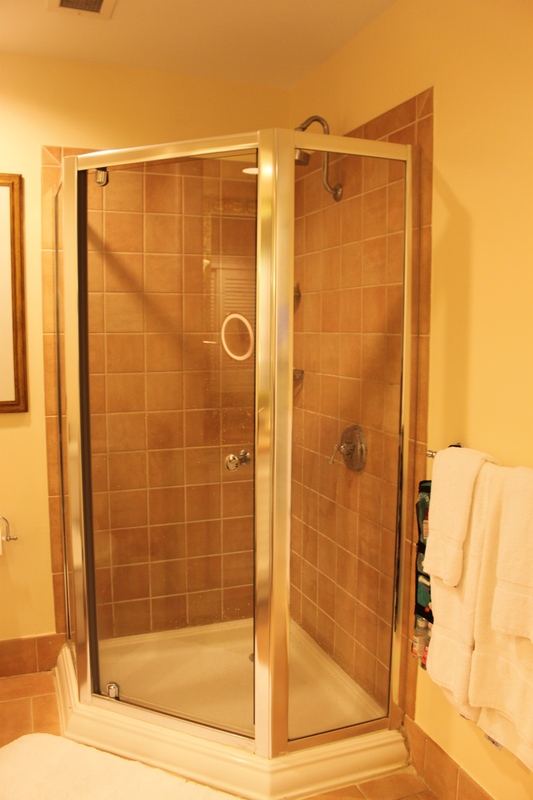 The room was very spacious, with 2 queen beds, a full size dresser, table and chairs, mini bar, and HUGE luxury bath with whirlpool tub, standalone shower, and large vanity. 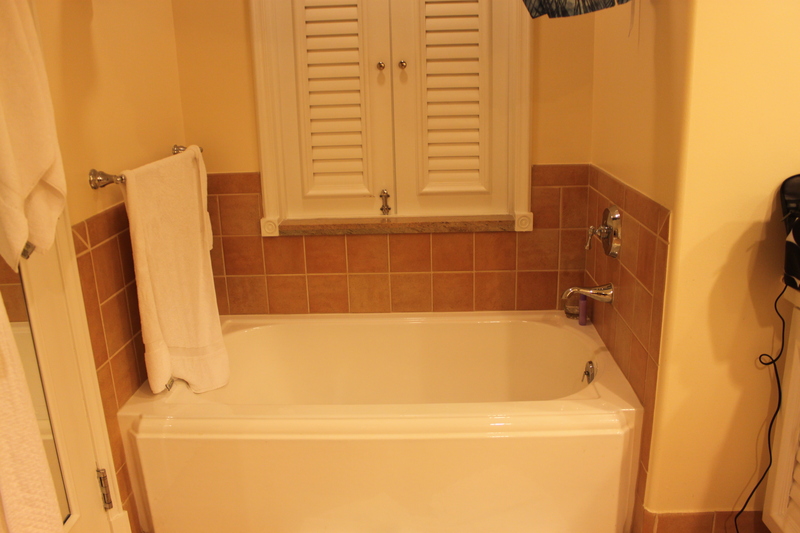 The bathroom has a large window over the tub that can open into the bedroom, as well as speakers that will pipe in the sound from the TV while you get ready. 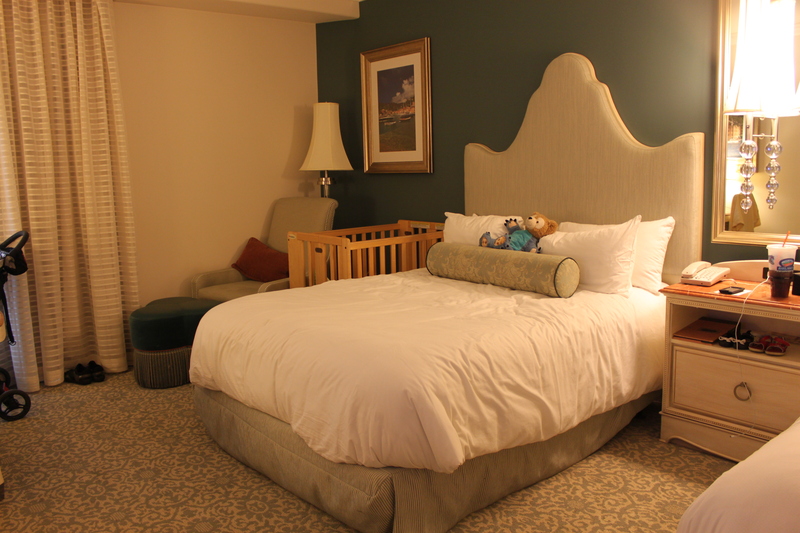 We requested a crib for our daughter and were very pleasantly surprised to receive a full-size portable crib with bedding, a Fisher Price DVD, and a Johnson & Johnson travel size baby care kit. Very nice touch! 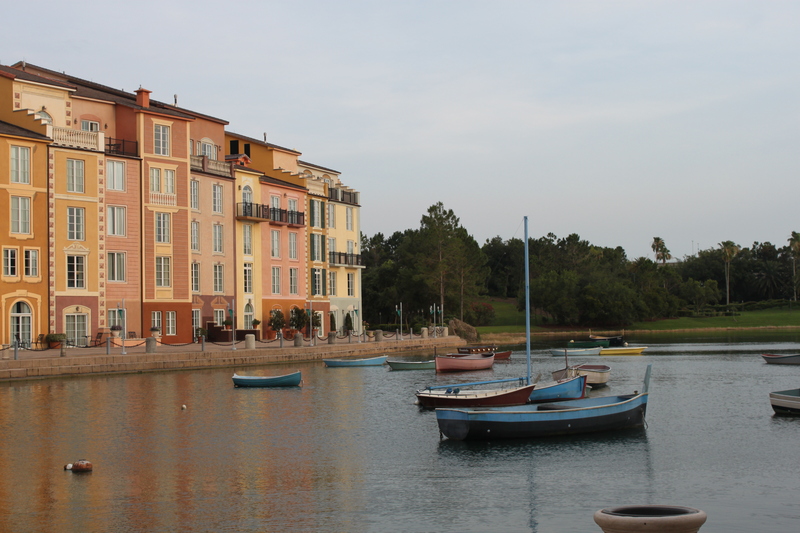 You can also enjoy fantastic dining on-site at Portofino Bay at their signature restaurant, Bice. 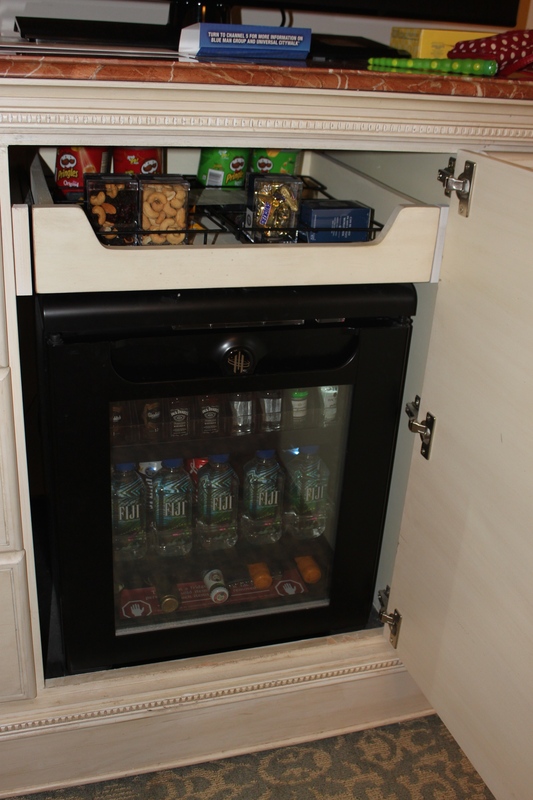 There are also quick-service options available, a character meal offered on select days of the week at breakfast, a fantastic little wine bar, and a gelateria to enjoy. The resort also features 3 themed swimming pools, one of which offers a Roman aqueduct themed slide. There’s a splash area for toddlers, Bocce ball courts, jogging paths, and a full game room arcade, as well as many retail and gift shops on property as well (and Starbucks too!!!). Be sure to check out the nightly Musica della Notte show with live Italian music on the Harbor Piazza! 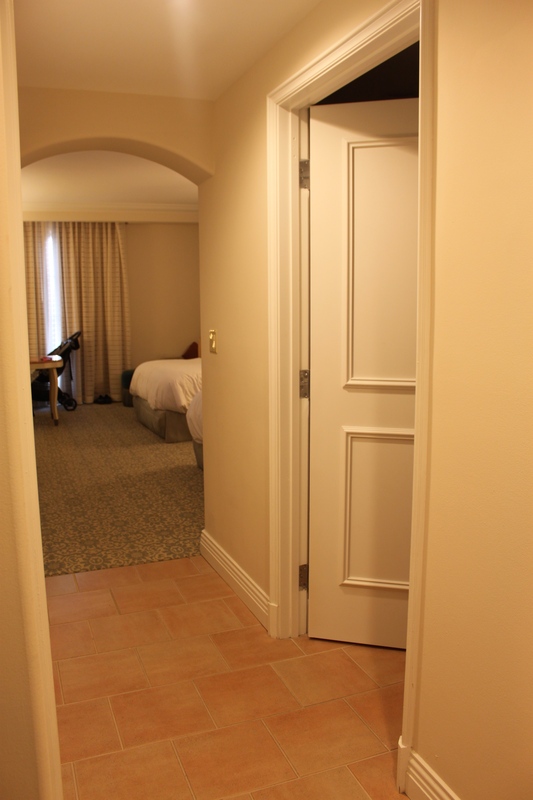 Overall, I think Portofino Bay is an excellent choice if you’re visiting Universal Studios on your trip to Orlando. You’ll enjoy wonderful on-site benefits including Universal Express Unlimited ride access that lets you skip the regular lines in BOTH theme parks (Universal Studios and Islands of Adventure) FREE of charge — a benefit that alone is worth up to $89 per person, per day, early park admission to The Wizarding World of Harry Potter (1 hour before the theme park opens), complimentary water taxis and shuttle buses to both parks and Universal CityWalk, priority seating at select restaurants throughout both parks and CityWalk, resort-wide charging privileges with your room key card, complimentary delivery of merchandise purchased throughout the resort to your hotel, and complimentary scheduled transportation to nearby Wet ‘n Wild, SeaWorld, and Aquatica. This week we take a little detour as Christy tells us all about her training trip to Universal Studios Orlando! 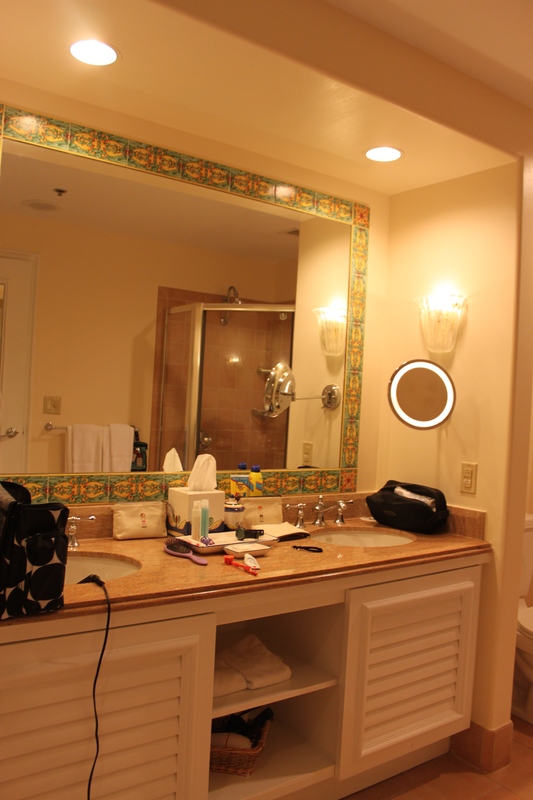 We learn all about the resorts, the dining, and the amazing attractions Universal has to offer and how it compares to Disney. Find out which coaster Christy thinks is the best one she’s ever ridden.